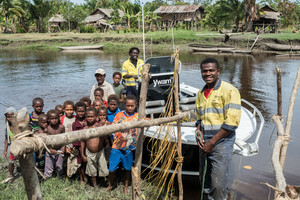 How a yacht donation to YWAM* Ships can be win – win for everyone. 1. There are no selling expenses or hassle and the out of pocket expenses for moorage, insurance, cleaning, maintenance and repairs stop immediately. 2. The seller gets a tax deduction for the ‘fair market value’ of the vessel which could be the valuation on a survey if done within prior two years. They could get as high as 33% of that value if they are in a high tax bracket. If they donate a vehicle or vessel to and organization like ‘Cars for kids’, they can only deduct what the organization sold it for which is often much less, often less than half the value. 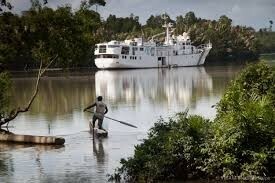 Since YWAM Ships is going to use the vessels, donors can deduct the full fair market value. If instead the seller waits to sell it in the normal way, the selling costs can be a significant share of the total so the difference in net proceeds of the boat donation vs outright sale might be less than you think. Sometimes a yacht with cosmetic challenges might only sell for 70% or less of the survey value and that might take many months. If you subtract selling expenses of at least 10% and expenses for moorage, insurance, cleaning, maintenance and repairs, the difference is even less. 3. There are no contingencies and the hassle and expense of on unused boat or yacht stops immediately. 4. Would be especially attractive if lying in faraway port [see below] where normal sales and management is more difficult and sometimes therefor more expensive. 5. The good feeling of donating to a valuable organization something they will use to serve people with medical and dental services on isolated islands. Locations that have no airport therefore cannot be served in any other way. 1. A difficult to sell yacht/boat due to major cosmetic deficiencies goes away without contingencies or hassle and risk of surveys, etc. 2. A smaller co-broker commission is paid, but there is much less work than for a normal sale and no contingencies which means not having to do that work again for nothing. Possibly a gift receipt for less than market commission payment might be given to the listing brokerage. Sandy Williamson of United Yacht Sales has volunteered to be YWAM’s broker at no charge. Call Sandy at 253-376-8273. 1. Fiberglass or steel sailing vessels, 45-120 ft. with berths for 10 or more in generally good running condition. Hopefully with only inexpensive repairs necessary to function well. 2. They can be cosmetically challenged and in need of maintenance like clean up and painting. 3. Ideally lying close to the Caribbean, Hawaii, or the South Pacific & Micronesia. 4. Newer the better, and Sloop or Ketch rigged. 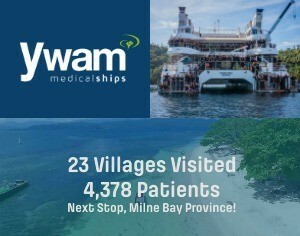 • YWAM = Youth With A Mission, YWAM Ships are medical ships which bring volunteer medical and dental teams to reach the over 900 isolated and disadvantaged islands in the Caribbean and South Pacific & Micronesia. YWAM targets locations without an airport. 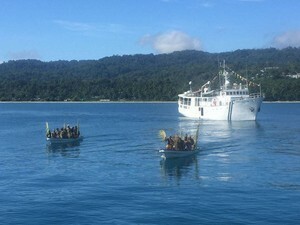 See YWAMships.net YWAM worldwide currently operates 24 vessels, but wants to add many more to serve the less fortunate.